For rent 1 and 2 bedroom in Mercato. 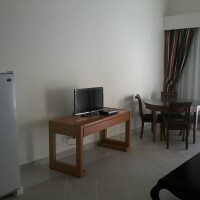 1 bedroom 4500 Le, 2 bedroom 5000 LE+ 2 month insurance. Water and electricity inclusive! All furniture new, flat very clean. This Ad has been viewed 335 times and got 3 replies.